The PSS SINCAL platform from Siemens PTI includes the products PSS SINCAL, PSS NETOMAC and PSS PDMS. ​The software tools of the PSS SINCAL Platform are leading products with respect to technical performance and user-friendliness. Comprehensive interfaces enable the interaction of all PSS SINCAL Platform tools, and also support the integration with other IT systems. 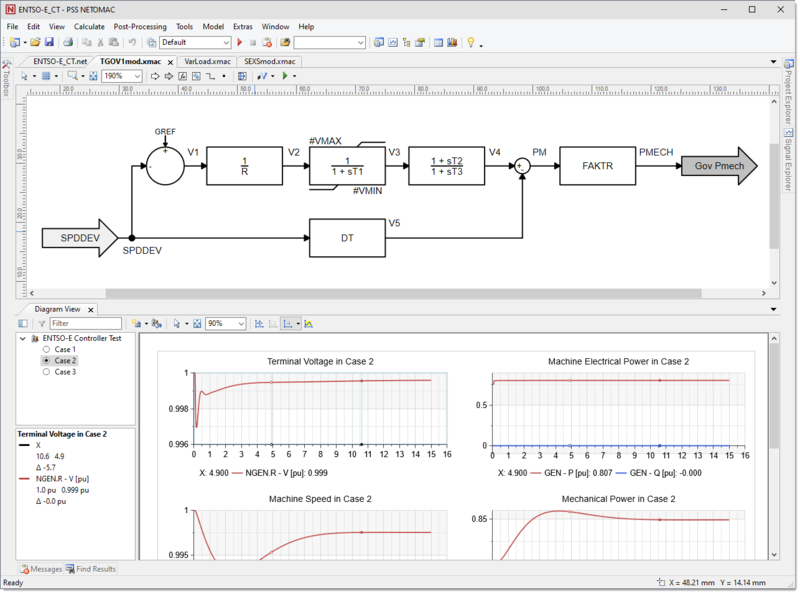 ​​PSS SINCAL is a comprehensive, high-end power system analysis software solution for all of your power system planning needs. PSS SINCAL provides a full unbalanced power system model for high, medium, and low-voltage grids and supports you in the design, modeling and analysis of electrical power systems as well as pipe networks, such as water, gas, and district heating/cooling systems. PSS SINCAL also provides the capability of solving a full range of tasks with its high-quality algorithms optimized for both accuracy and performance. User-defined applications can easily be developed with its object-oriented data model. Sophisticated case and data management facilitate the handling of complex projects including multi-user projects. PSS SINCAL can be easily integrated into systems such as Geographical Information Systems (GIS), SCADA and Meter Data Management Systems (MDMS). PSS NETOMAC, a world-wide unique planning system, helps you acquire that information quickly so that crucial decisions can be taken correctly. The program links up the most important methods for the analysis of dynamics of electrical networks in the time and frequency domains. 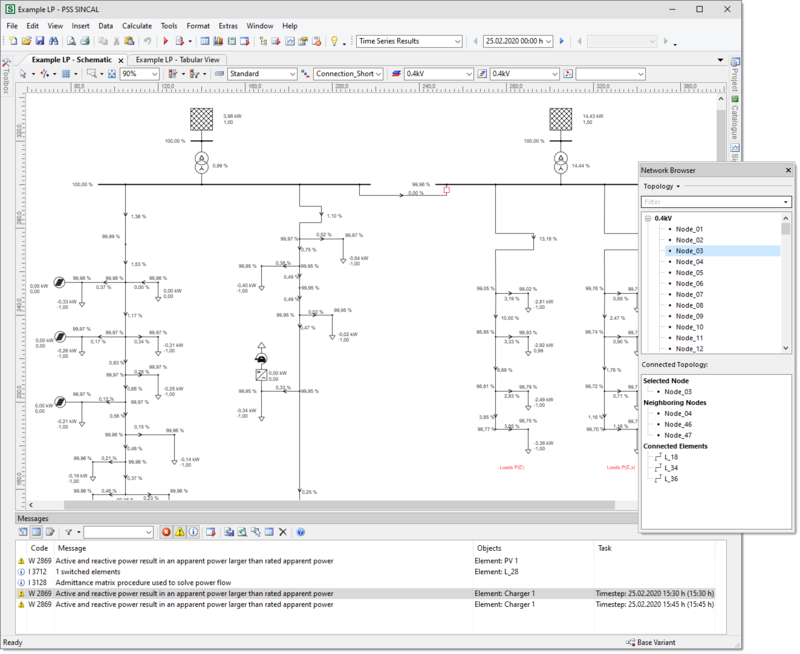 PSS NETOMAC is a professional network planning tool. It was designed to facilitate access to and manage any kind of information on the dynamic performance of a power system. Numerous program modules allow for this program to be adjusted to the individual requirements of each user. 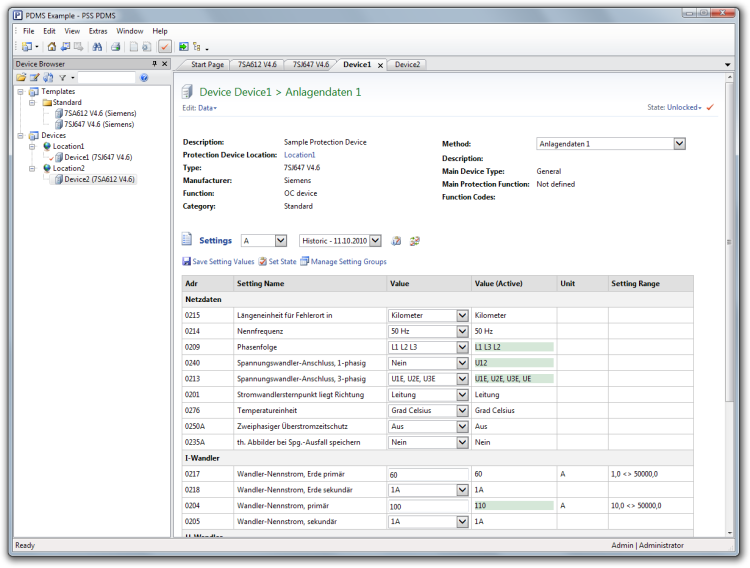 PSS PDMS (Protection Device Management System) is a universal program to centrally manage protection devices and their settings. The program is based on customer requirements and was developed to support the protection engineer in the management of protection devices and its settings. Numerous settings are needed to parameterize different functions of a modern protection device (overcurrent time protection, overload protection, impedance protection, intermittent ground-fault protection, monitoring measurements, etc.). At any point in time starting from the setting calculation, parameterization and testing the settings as well as the accompanying documents must be traceable and the workflow state clearly indicated. Considering the involvement of different staff members during the workflow and the changing network configurations with corresponding parameter sets and handling of different firmware, the management of protection data is a complex process. On the Web pages you will find detailed information on all products. If you wish, you can request a free test version too.